Hogan’s Turkey Ltd. is committed to respecting and protecting your privacy. We wish to be transparent on how we process your data and show you that we are accountable with the GDPR in relation to not only processing your data but ensuring you understand your rights as a customer. It is the intention of this privacy statement to explain to you the information practices of Hogan’s Turkey’s Ltd. in relation to the information we collect about you. Contact details are info@hogansfarm.ie, phone 0469240273. When we refer to ‘we’ it is Hogan’s Turkeys Ltd.
Hogan’s Turkeys Ltd, with brand name Hogan’s Farm is a family run turkey farm and fresh turkey producer. We also have a farm shop on site that sells fresh turkey and other food products which are available on this website for sale. You can visit our website without providing any personal data. We only become aware of the name of your Internet service provider, the website from which you visited us and what pages of our website you visit. This helps us to exclusively improve our services to personalize your use of the website without revealing your identity. Personal data will only be collected if submitted by you during a contact request, sign up for our newsletter, enter any online competitions or when you place an order and simultaneously open a customer account. If you subscribe to our newsletter, your e-mail address will be used for our marketing purposes until you unsubscribe from the newsletter. You may unsubscribe from the newsletter at any time in your customer account or by clicking the unsubscribe link in each newsletter e-mail. In any event, Hogan’s Farm is committed to ensuring that the information we collect and use is appropriate for this purpose, and does not constitute an invasion of your privacy. 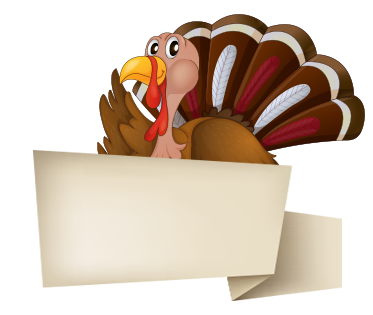 We may pass your personal data on to third-party service providers contracted to Hogan’s Turkeys Ltd. in the course of dealing with you. Any third parties that we may share your data with are obliged to keep your details securely, and to use them only to fulfil the service they provide on your behalf. When they no longer need your data to fulfil this service, they will dispose of the details in line with Hogan’s Farm Company procedures. Google Analytics – Online advertisement program. We use the online advertising product “Google AdWords” and have opted in to conversion tracking. The conversion tracking cookie is set on your browser only when you click on an ad delivered by Google for an advertiser who has opted in to conversion tracking. These cookies expire within 30 days and do not contain information that can identify you personally. If this cookie has not yet expired, when you visit certain pages of the advertiser’s website, Google and the advertiser will be able to tell that you clicked the ad and proceeded to that page. Each customer receives a different cookie. Therefore, no cookie can be tracked across the websites of AdWords customers. The information gathered with the aid of conversion cookies serves to compile conversion statistics for AdWords customers who have opted for conversion tracking. The customers are informed of the entire number of users that clicked on their ad and were forwarded to a page that had a conversion tracking tag. However, they receive no information that would allow them to identify the user personally. If you want to disable conversion tracking cookies, you can set your browser to block cookies from the “googleadservices.com” domain. For further information on the topic of “data protection” in connection with the online advertisement program Google AdWords, please go to http://www.google.com/privacy_ads.html. We will share your personal data such as name, address and phone number with our third party delivery company or Hogan’s Farm employed delivery driver in order for your home delivery request to be delivered. Once delivery has been made and confirmed that it has been delivered it will be deleted from our third party account in 30 days. Hogan’s Turkeys Ltd. facilitate you, our customer, rights in line with our data protection policy and the subject access request procedure. This is available on request. Right to judicial review: in the event that Hogan’s Farm refuses your request under rights of access, we will provide you with a reason as to why. Data will not be held for longer than is necessary for the purpose(s) for which they were obtained. Hogan’s Farm will process personal data in accordance with our retention schedule. This retention schedule has been governed by our internal governance. In the event that you wish to make a complaint about how your personal data is being processed by Hogan’s Turkeys Ltd. or how your complaint has been handled, you have the right to lodge a complaint directly with the supervisory authority and Hogan’s Turkeys Ltd. by contacting info@hogansfarm.ie. 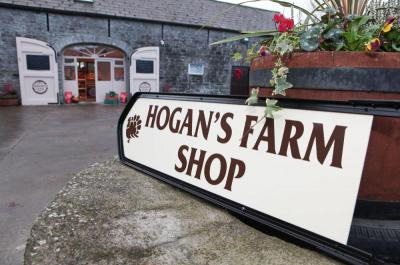 or Phone 046 924 0273, Email : info@hogansfarm.ie or post Hogan’s Turkeys Ltd, Hogan’s Farm, Cortown, Kells, Co. Meath, Ireland.